I had another eventful weekend. A couple of my friend's bands played at The Saint in Asbury to raise money for a friend who has Leukemia. It was good turnout and the bands were great. 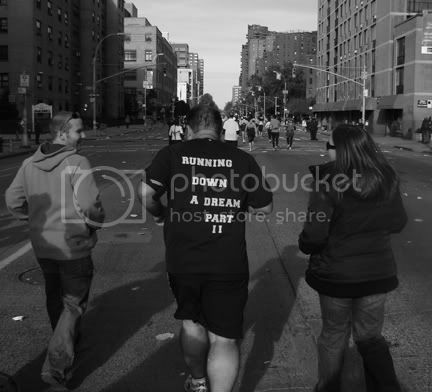 We also got to witness my brother take part of the NYC Marathon this year which was pretty exciting. I was not able to go last year so I was very happy I could be there for him this year. It was very inspiring watching all of the runners striving to reach their goal of running a little over 26 miles. I could not believe the top woman and man finished it around two and a half hours. We did run a couple a blocks with him at the 18th mile to cheer him on. It was a great experience and I give kudos to everyone who participated. You are an inspiration!